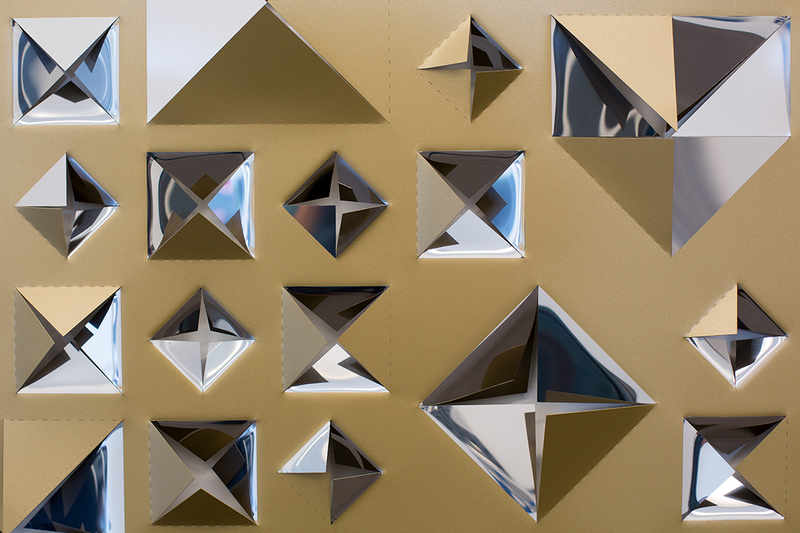 Stainless steel, painting and bronze installation. 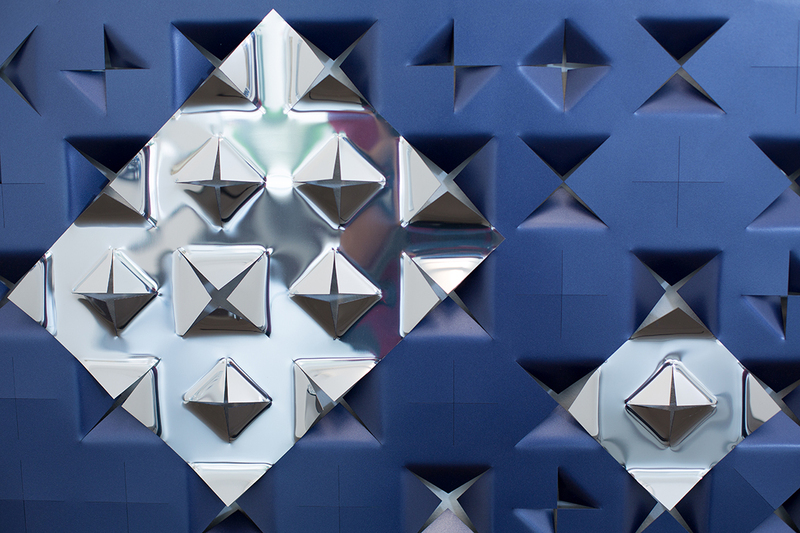 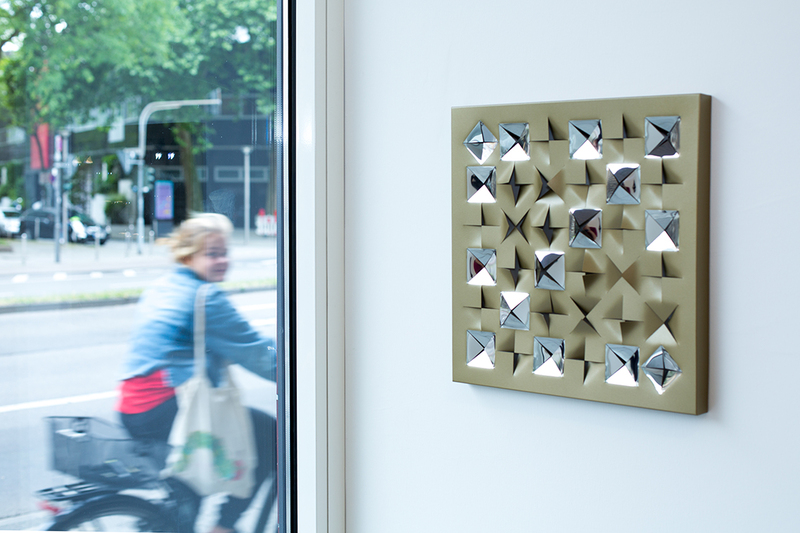 The sample is composed of various pieces of stainless steel where in some works appears the pure material and in others, it is a combination where participates accompanied by one colour. 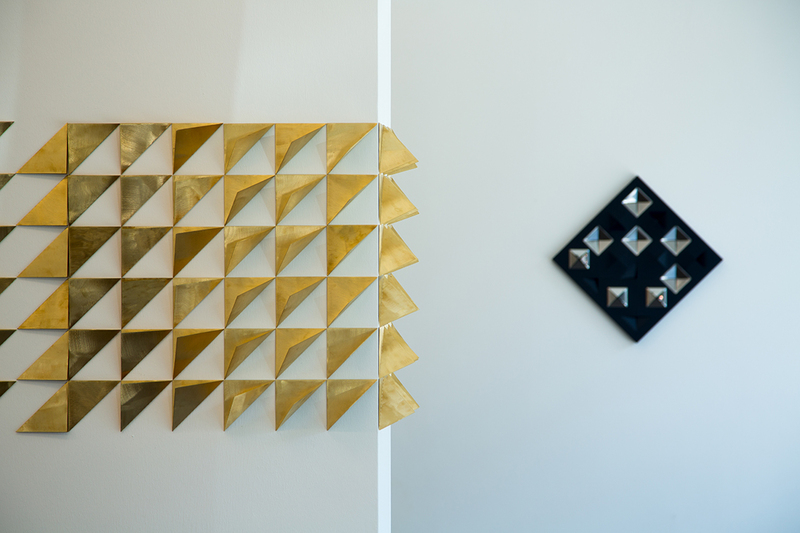 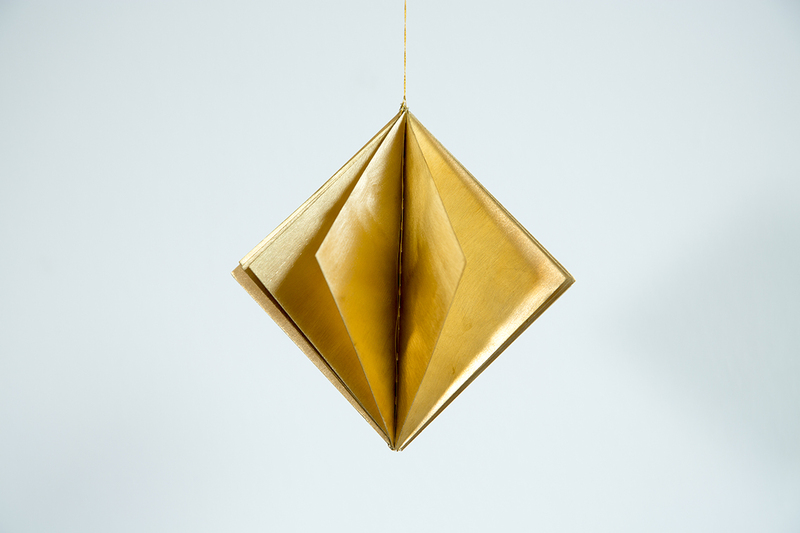 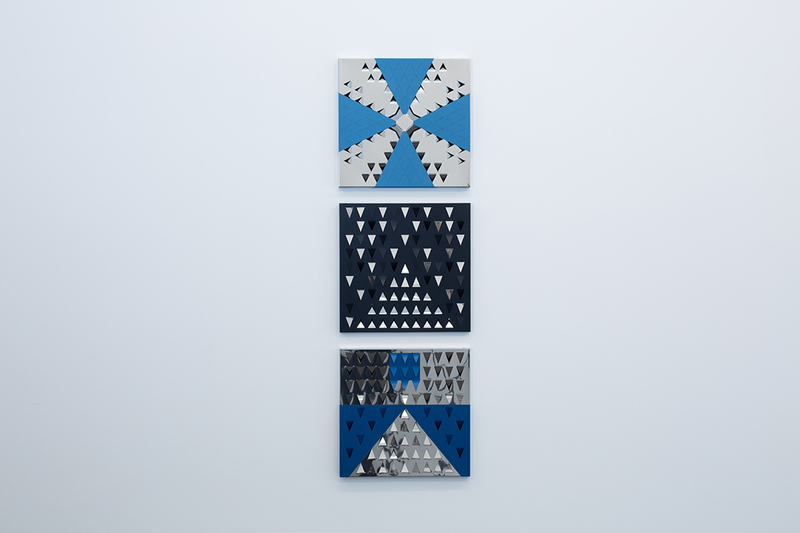 Also part of the set are a series of small format works, a modular work of 5 pieces that together recreate an eight-pointed star present in the mapuche culture as a guñelve, a site-specific oeuvre composed by small bronze squares of 10 x 10 cm. 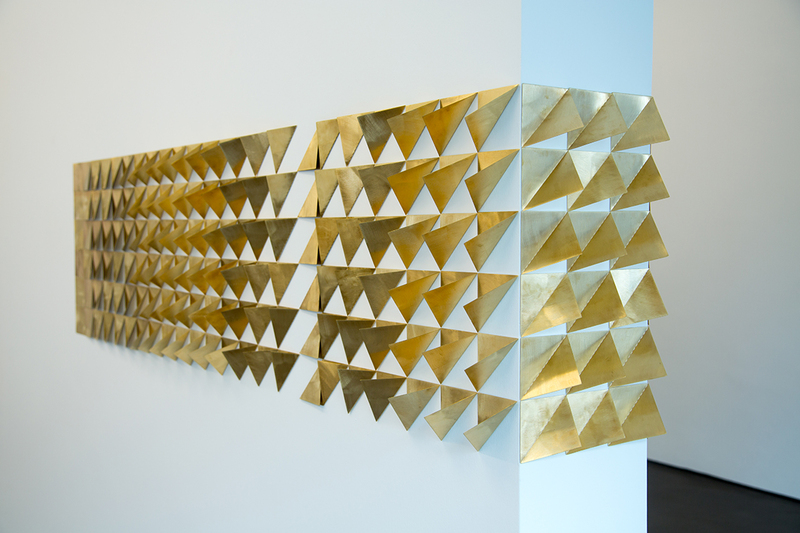 which are split by a diagonal, forming two triangles with different angles that allude to a movement of organic growth. 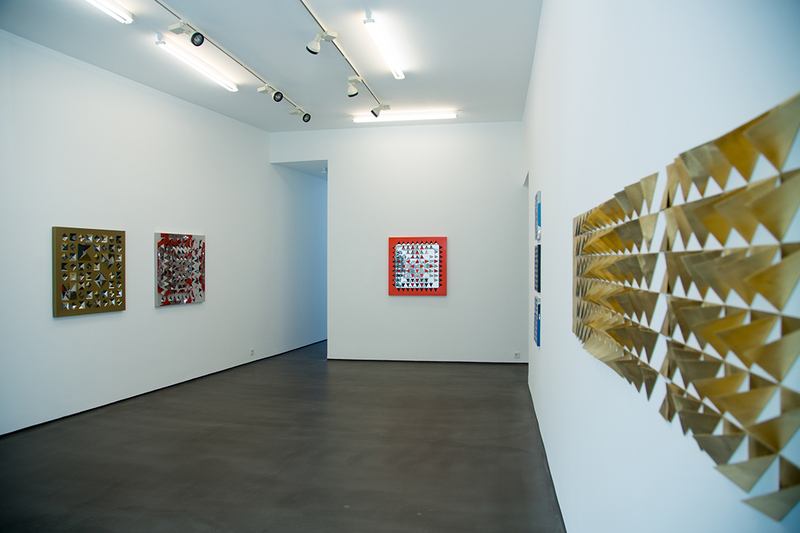 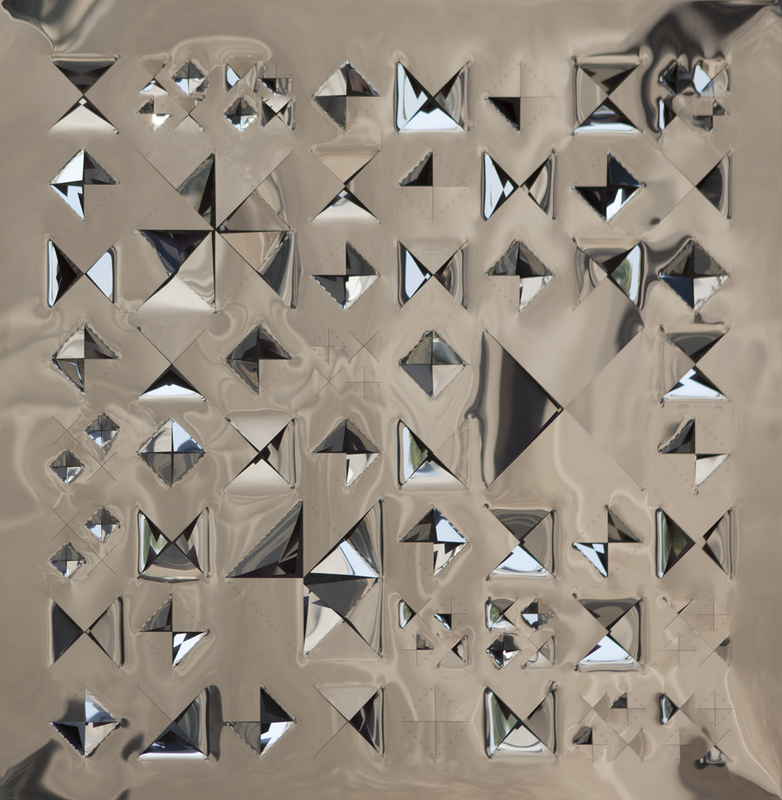 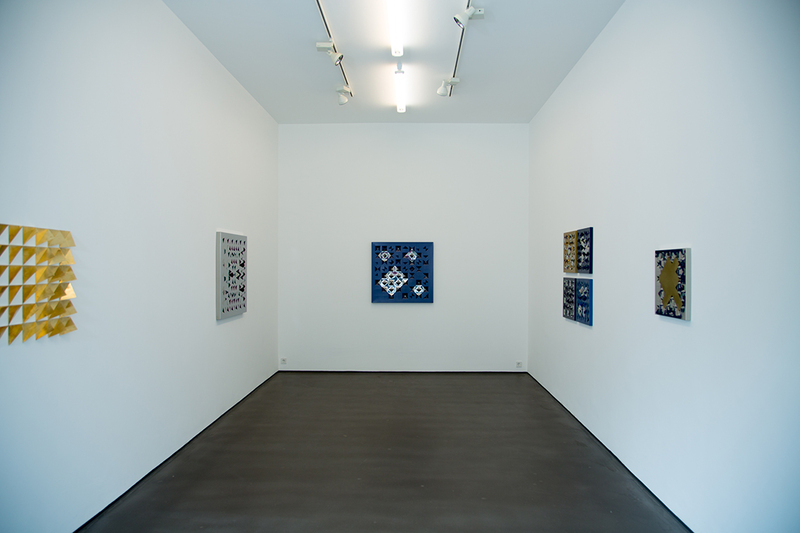 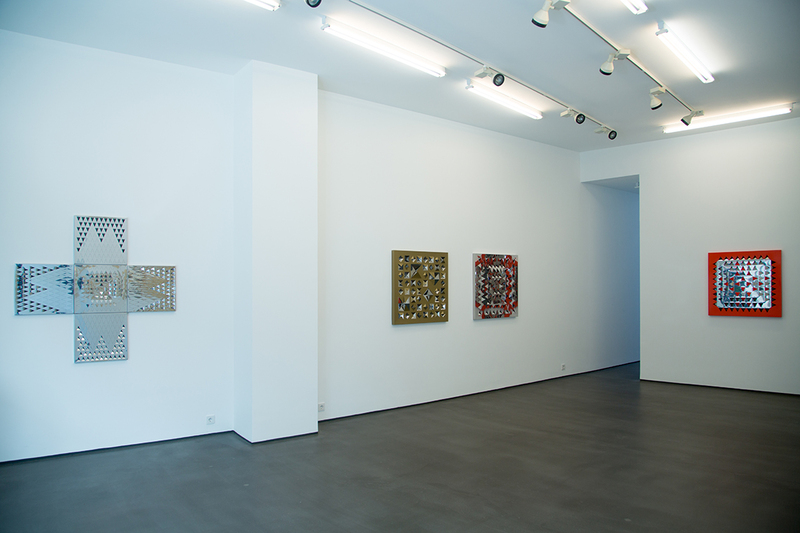 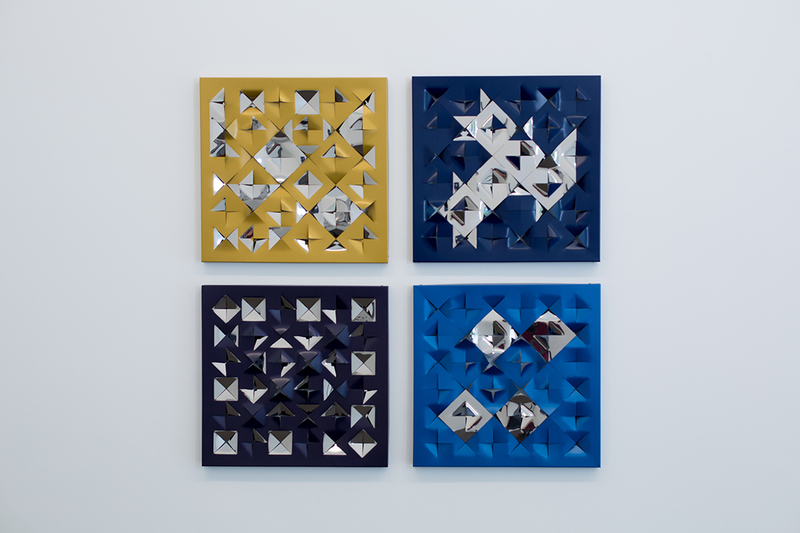 Through this new series of works in stainless steel, the artist draws a sequence of diverse grids that appear in the material; Through the manipulation of the support by the pressure of certain incisions, she performs a state change operation, where the two-dimensional origin of the piece passes a three-dimensional being and appears the reverse of the painted material that contrasts intensely with steel and the aqueous sensation and reflective of this. 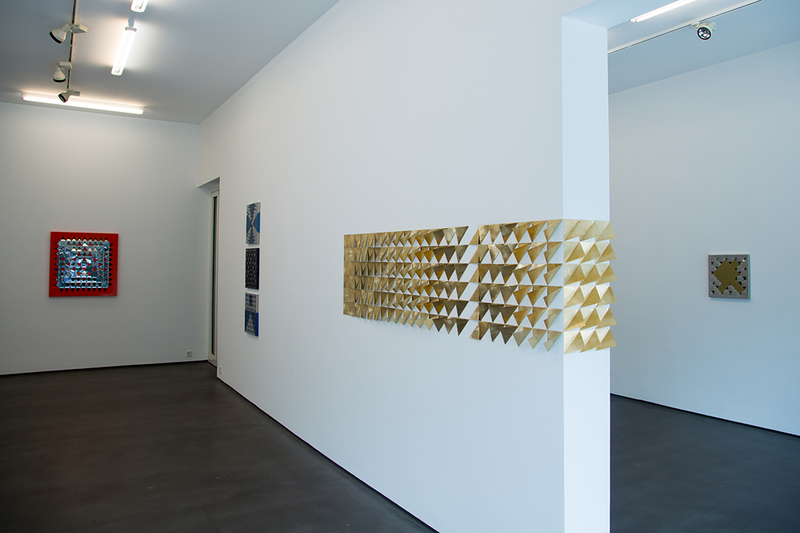 Valdés continues with a deep investigation around the geometry and the activation of the space through the constructions of grids, independent systems and also reflexes in this case, where the work also changes of state, relative to the form, the color and the perspective of the observed. 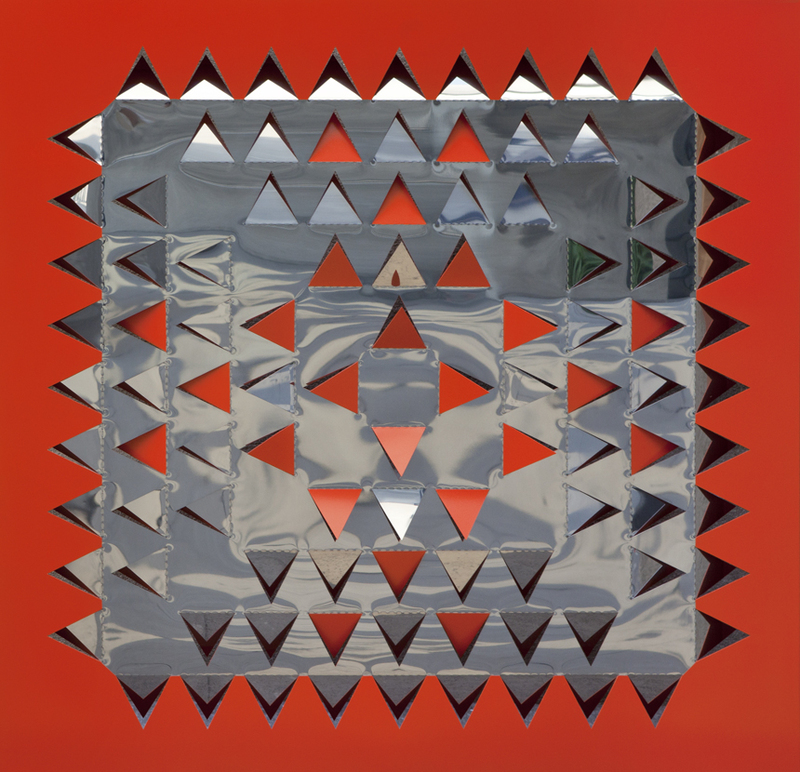 It combines with this procedure an imaginary close to the pre-Columbian, the sacred geometry and some symbols present in native peoples of South America.